We’re delighted to have been able to get fantastic rates with some of Wellington's main hotels; you’ll find some of the best deals in town! To take advantage of these special rates, bookings must be made during your online registration for the conference. Please do not contact the hotel directly. If you have any questions, give us a call on +64 4 282 1702. The West Plaza Hotel occupies the prime position for business or pleasure in Wellington. Within in easy walking distance of the major government departments, commercial offices, and conference and event centres of the CBD. 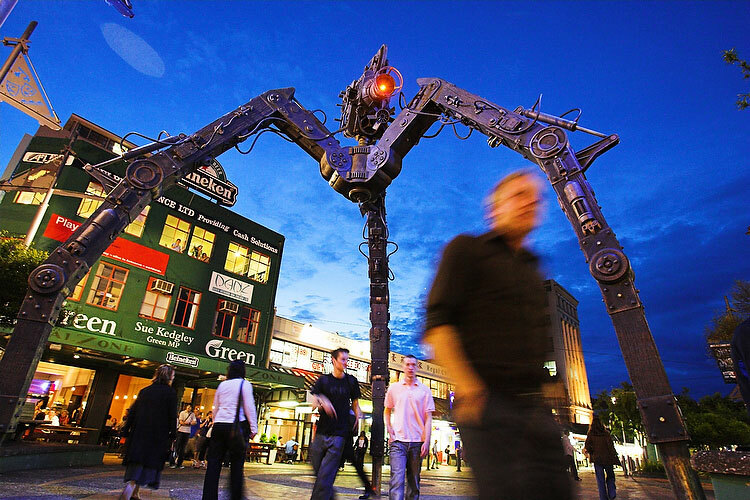 Plus, you’re only a short walk from the premium shopping of Lambton Quay and the entertainment zones of Courtenay Place and the Cuba Quarter. 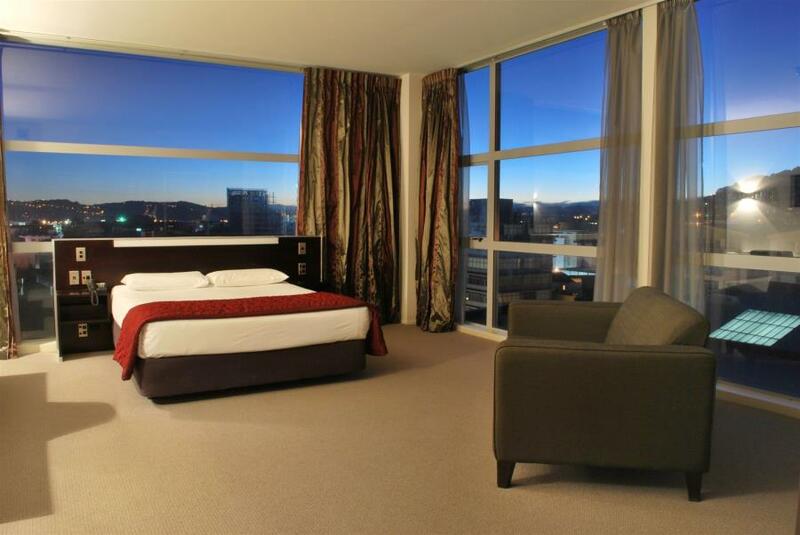 This 4star self-rated apartment hotel is located in the shopping quarter of Willis Street. The location offers handy access to the quirky entertainment and café culture of Cuba Street and dining out and nightlife options of Courtenay Place, and is a short walking commute to the business district. During the day, take a stroll along the waterfront or a look around Te Papa Museum, just a 15minute walk from your apartment. Boulcott Suites is ideal for guests looking for quality and space. The brand-new North Tower provides executive and premium studio and one-bedroom apartments, some with balconies. Located in the heart of Wellington's Central Business District this is quality accommodation at an affordable price. 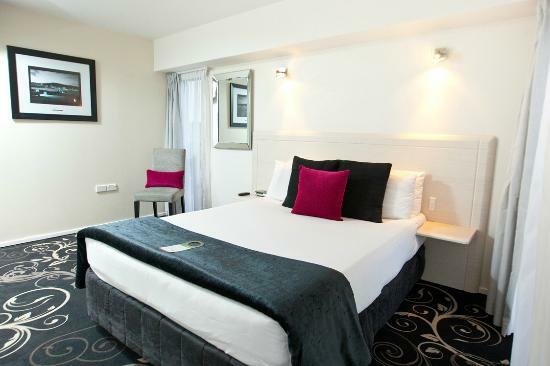 The Mercure Wellington Abel Tasman Hotel is the place to stay when you are in New Zealand's Capital. 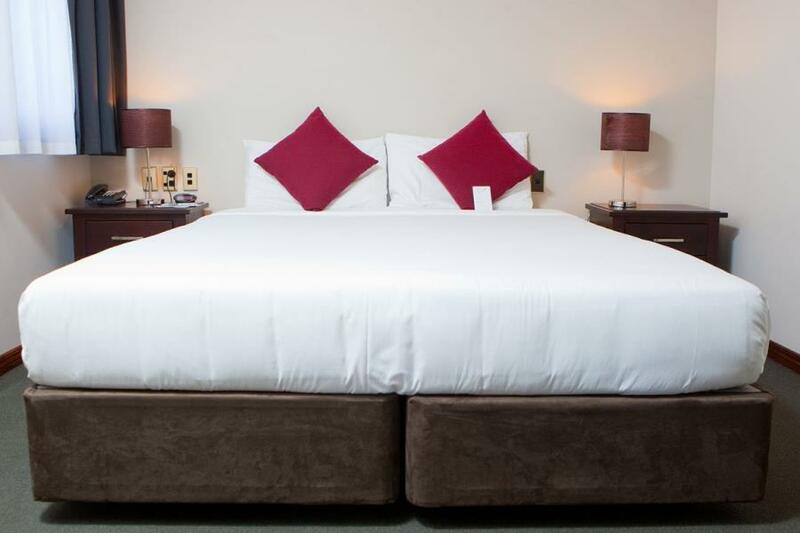 Recently refurbished rooms offer an inviting contemporary decor with free Wi-Fi, Sky channels and flat screen tv. Empassing the very essence of Wellington, Quality Wellington exudes character and charm alongside cool and chic in the heart of vibrant Cuba Street. 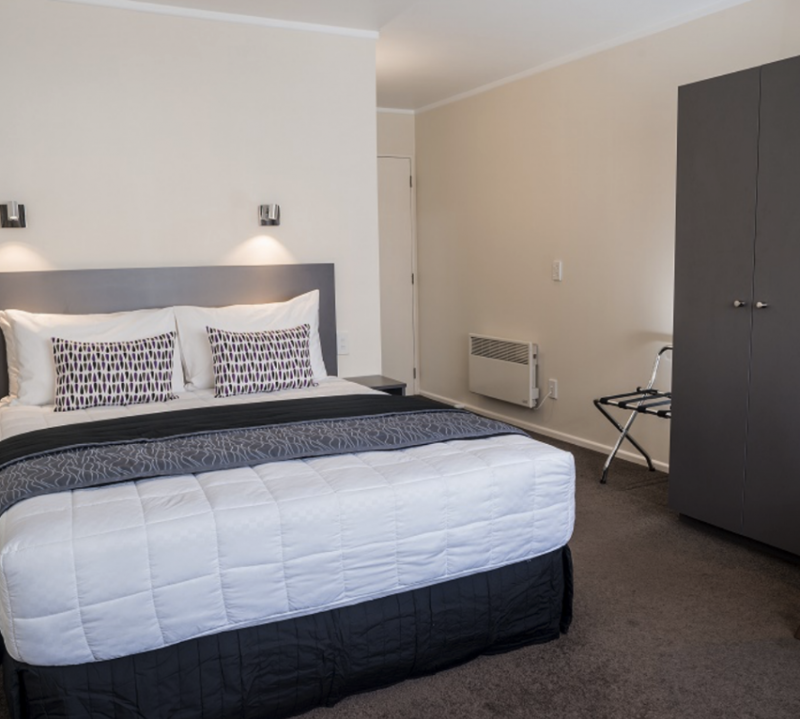 This chic hotel is a 3-minute walk from the closest bus stop, 1 km from cultural exhibits at the Museum of New Zealand Te Papa Tongarewa and 3 km from the Wellington Zoo. Modern rooms have free Wi-Fi, flat-screen TVs, sitting areas, and tea and coffee making facilities. Wellington City at your door step! Central to The Terrace business district, handy to Lambton Quay and Willis Street shopping mile. 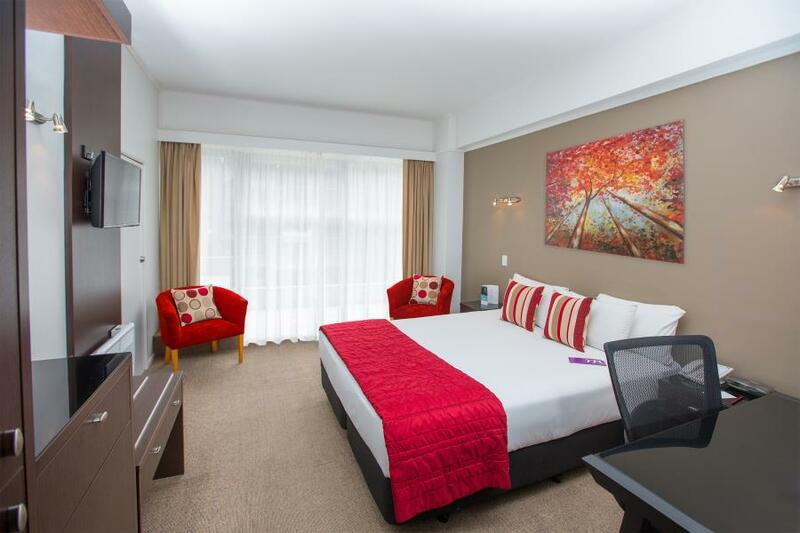 Mercure Wellington Central City is also close to many restaurants, theaters, Courtenay Place and Wellington's entertainment district. Stylish and spacious apartment with free Wi-Fi, Sky channels and flat screen tv.